Please read the important notes at the very bottom of this page before using this data. 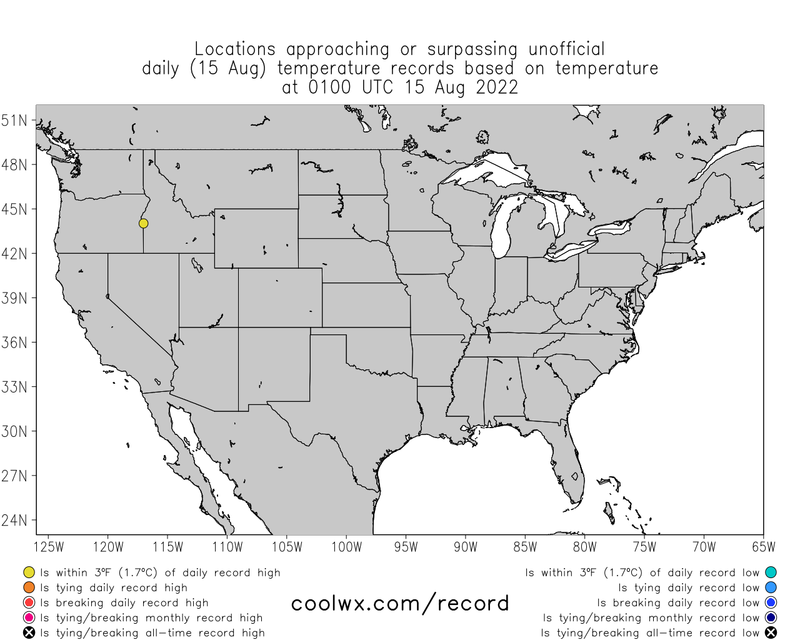 Move the mouse over a colored dot on the images to view the information on the temperature record. Unofficially, there are currently 35 stations that have broken their daily high record, 15 that are tying it, and 59 that are near it. Unofficially, there are currently 0 stations that have broken their daily low record, 0 that are tying it, and 9 that are near it. The source of the historical data here is the NCDC GSOD (updated through 2018 as of 10 February 2019). 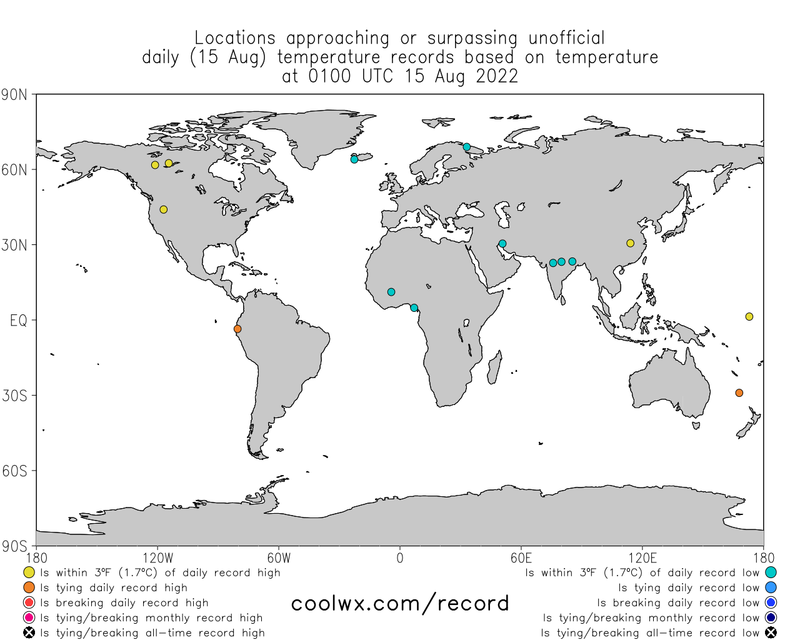 The records are defined here using GMT, with the day resetting at 00GMT (7PM EST;8PM EDT). These records are NOT official and differ from official records that use a longer database and local (not GMT) time. Only cities having an NCDC GSOD recorded history of at least 35 years are shown here. With the additional year of data available (2018), 71 new stations (for a total of 3436) now meet the 35 year minimum record. In cases when there are multiple years of records for a city, the latest (most recent) year is shown above. Note that given the relatively short record used here (as small as 35 years), records will almost assuredly be set somewhere every day for the next several decades to centuries. Appreciation to R. Maue, among several others, for feedback.